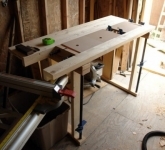 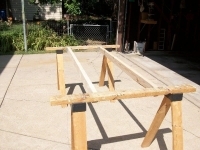 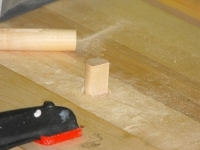 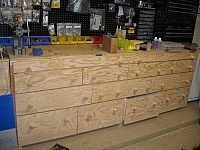 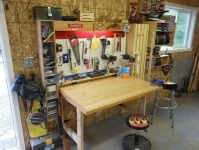 Inexpensive workbench constructed from scrap 4x4's & 2x4's and utilizing a sheet of plywood for the top. 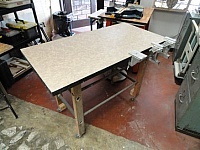 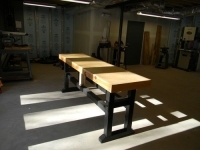 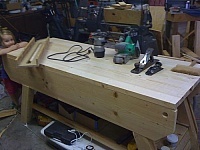 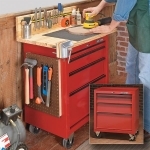 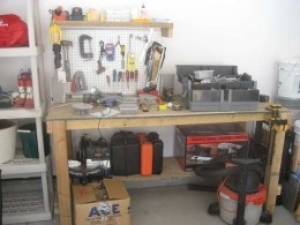 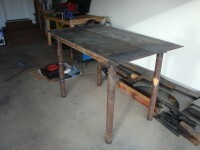 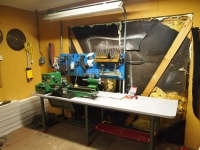 Yep, as long as you have that kind of scrap, you can build a work table like this. 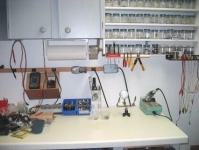 Fly Tying Station by Steven H.